Buckminster Fuller died 30 years ago this year. On July 12th at 7pm (Bucky’s birthday), we will gather with Bucky biographer L. Steven Sieden to celebrate his life and contribution. Steven will be sharing insights and practical applications of Bucky’s “56 Year Experiment” to determine what one individual can achieve in making a contribution to all humankind. L. Steven Sieden has been a student of and advocate for Dr. R. Buckminster Fuller since 1981 when Steven spent three months on a beach studying Critical Path. He worked on Fuller’s Integrity Days–the last series of public appearances Fuller made, and when Fuller died in July 1983, Steven began working with The Buckminster Fuller Institute to produce events using a portion of Fuller’s vast recorded archive. He also began learning more about Fuller’s life and ideas, and his research led to the 1988 biography Buckminster Fuller’s Universe . 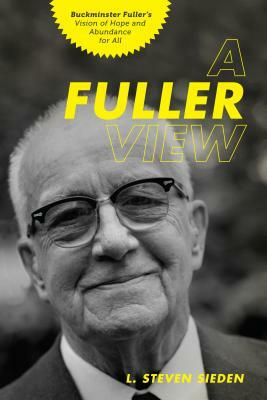 His latest Buckminster Fuller book is A Fuller View, Buckminster Fuller’s Vision of Hope and Abundance for All, and he is working on a third volume A Fuller Way, Buckminster Fuller’s Life Affirming Path To Success. Since 1981, Steven has continued to study and apply Fuller’s wisdom to his own life while writing and lecturing on the lessons we can all learn from Bucky. Following a major “heart initiation” (a.k.a. quadruple bypass open heart surgery), Steven had his own epiphany and got the message that Fuller’s ideas needed to be spread more fully, especially among the younger generations. That incident was the impetus for A Fuller View and the volumes to follow. Steven lives in Seattle, Washington on planet Earth. Are you coming? Let us know on Facebook and/or Google Plus! This entry was posted on Tuesday, July 2nd, 2013 at 5:27 pm and is filed under Authors of the Month. You can follow any responses to this entry through the RSS 2.0 feed. Both comments and pings are currently closed.